One of the least understood roles in live theater is the supernumerary, or "super". They will never get the attention, let alone the recognition of a lead role, a supporting player, or even a member of the chorus. In many ways, the super is more a piece of scenery than they are a piece of the action. Supers are people on the street, the silent members of the jury in a courtroom scene, or the man strolling through the park whom the leading man randomly grabs to tell how much he is in love with the heroine. In the movies, supers are called extras. An extra has to be more than just a warm body on the set. They will need to be costumed, they may need certain skills, such as ballroom dancing or the ability to convincingly carry a rifle in a battle scene. Extras are important enough that they have their own union representation. Movie extra acting is actually a hobby for a lot of people. Even with union protection, the pay is never that great, the only credit you can expect is if your friends see and recognize your face on the screen. However, you do get the adventure of hanging out on a movie set, and probably a catered lunch out of the deal. Characters in the background of a radio drama require a little more work than showing up and putting on costume and makeup. Obviously, in radio the background actor will have to deliver lines. The audience cannot see the leading lady buying something in a department store, and a cop on the beat has to do more than simply point to give directions. Since their role is so similar to a movie extra, and radio producers hope to get the most for their money, background actors were often called to "double" or "triple", performing more than one voice/character in a broadcast. Cincinnati native Wally Maher never really caught the caught the acting bug as a kid, however, while working as a clerk for the Southern Pacific railroad, he discovered that he had an ear for dialects and a talent for mimicry. The son of Irish immigrants and married to an Italian girl, Wally would greet trains carrying Italian POWs and was always delighted with the way the prisoners would light up when he spoke to them in their native tongue. Wally put his talents to work when he joined the "dramatic staff" at WLW, "the Nation's Station", in the early Thirties. Whenever a show needed a truck driver, a store clerk, a mechanic, a security guard or just a man on the street, Wally got the call. 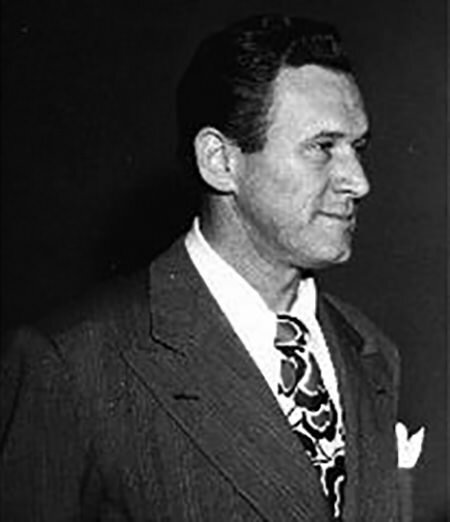 After a short stint with some tiny roles on Broadway, Maher struck out west at about the same time that serious radio production began moving to Hollywood to take advantage of the pool of star talent. 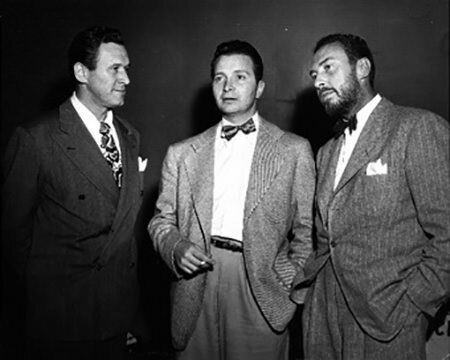 Wally was there for the first Hollywood broadcast of The Lux Radio Theater, and found himself across the mic from a number of Hollywood A-List talents. He also appeared in a good number of movies filling uncredited roles with character names like "gas station attendant", "hotel clerk", "newsreel camera operator" or "sailor listening". Respiratory problems plagued Maher his whole life. When the War came, his health was bad enough to keep him out of uniform, but he got to play plenty of servicemen on Lux Radio Theater, Cavalcade of America and various Arch Oboler productions. He also became a regular player on Suspense. Maher's 4F status while other Hollywood actors were in the service may have helped him get one of his few starring roles on Mutual's The Adventures of Michael Shayne, Private Detective. The Michael Shayne character was created by pulp novelist Brett Halliday, and kept alive by various ghost writers through the years. Shayne appeared in 77 detective novels, 300 short stories and a dozen films. Maher played the character as a serious hardboiled detective without depending on the self parody that other actors brought to their roles. Halliday (or his ghost writers) were known to state that Maher's performance of Michael Shayne best represented the detective from the printed page. The Adventures of Michael Shayne, Private Detective first hit the airwaves over the Don Lee West Coast network in 1944. Although Maher missed a few episodes due to poor health, the show went nationwide in 1945, but was dropped after the 1947 season. Don W. Sharp syndications made several episodes in 1948 starring Jeff Chandler. After Michael Shayne, Maher went on to roles on Let George Do It and The Line Up. The latter was a police procedural drama which rode the coattails of NBC's Dragnet. Although set in San Francisco rather than LA, and less gritty than Jack Webb's creation, The Line Up retained the realism while giving the audience a better connection with the characters, including Maher's Sgt Matt Grebb. However, Maher's continuing health problems began to interfere with his work. 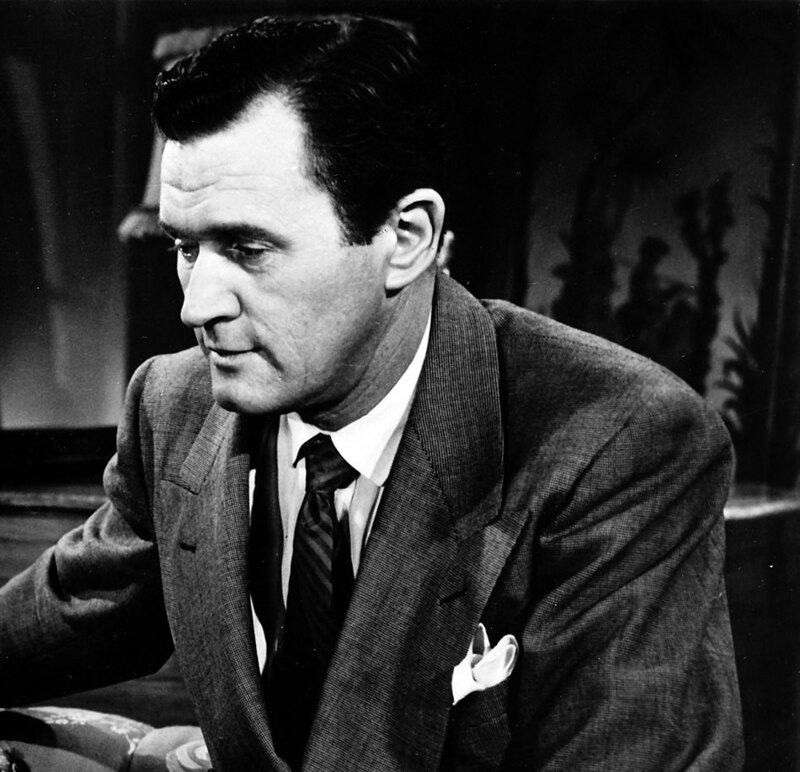 He had a lung removed in 1950, and during the 1951 season of The Line Up, Raymond Burr was called in as a replacement. Maher passed away in December 1951, only 43 years old with his career entering its prime. Be the first to comment on "Wally Maher"